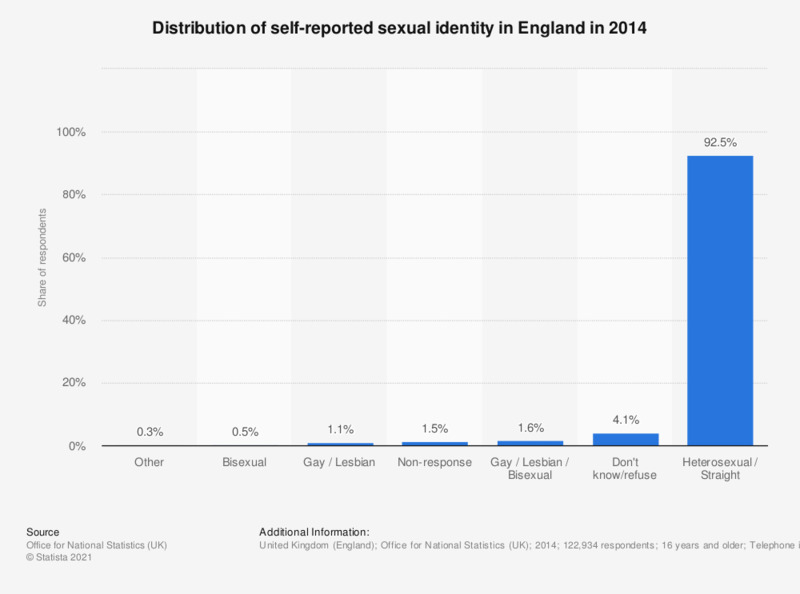 This statistic shows the self-reported sexual identity in England in 2014. The majority of respondents self-identified as being heterosexual with approximately 92.5 percent. Roughly 4.1 percent refused to give an answer or did not know their sexual orientation.